With this in mind, I've compiled a list of Hackintosh-compatible laptops, all of which can run OS X Mountain Lion without the need to replace any hardware. As expected, many of the laptops on this list were also on our previous list for Mac OS X Lion-- after all, the hardware requirements between Lion and Mountain Lion are relatively similar. Most of the guides provided below are from tonymacx86, and have files attached to them. To view and download attached files on tonymacx86, you have to register an account on the website. Of course, keep in mind that no laptop will ever run Mac OS X as well as a real Macbook. But some can get pretty close. LATEST UPDATE (APRIL 18, 2014): Check out our updated list, The Best Hackintosh Laptops of 2013-2014. What You Get: The HP ProBook 4530s is a standard sized laptop with a 15.6-inch screen, and a pretty great keyboard. There are multiple models that use different 2nd-generation Intel processors, varying from the lowest-end Core i3 to the highest-end Core i7. Overall, it's a very diverse selection; no matter what you're looking for, the ProBook 4530s line will probably have the right laptop for you. The battery life for the 4530s on Mac OS X is about 3 hours, which isn't great, but it's not a dealbreaker, either. Hackintosh Ability: The ProBook 4530s is pretty much the gold standard of Hackintosh laptops. Almost every part of the ProBook 4530s works with Mac OS X: WiFi, audio, ethernet, sleep, bluetooth, USB 3.0, the battery meter, the trackpad, and even the SD card reader. Tweaking is kept to a minimum, since the HP ProBook 4530s forum on tonymacx86 has more or less figured out everything for you. If you're looking for a truly Hackintosh-friendly laptop, go with this one. It's even endorsed by tonymacx86 himself. Unlike most laptops, setting up Mac OS X on the ProBook 4530s is pretty easy. Just install Mac OS X with Unibeast, and then run the HP ProBook Installer to enable sleep, sound, and various other features. For details on this part of the process, check the installation guide linked below. However, even once you get Mountain Lion working, not everything is perfect. For instance, Bluetooth won't work after waking up from sleep, but screen brightness controls won't work before waking up from sleep. So you'll have to decide which feature is more important to you. Also, Bluetooth doesn't work after a restart (only a cold bootup will make it work), the VGA port is unreliable, and the external microphone doesn't work at all. However, don't let all of these problems with the 4530s discourage you; none of the problems really affect the laptop's usability. In fact, the 4530s actually has fewer problems than most Hackintosh laptops. It just happens that the glitches for the 4530s are better documented. What You Get: The ProBook 4430s is the smaller brother of the 4530s. While the design and most of the technical specifications are identical, the 4430s uses a slightly smaller 14-inch screen. Additionally, while the 4430s can use both Intel Core i3 and Core i5 processors, there aren't any models with Core i7. With such a compact screen, this laptop begs a comparison to the 13-inch Macbook Pro. In most aspects, the 4430s and the 13-inch Macbook Pro are essentially equal. However, the lower price of the 4430s comes with its own costs: remember that ProBooks usually only get about 3 hours of battery life on Mac OS X, while the Macbook Pro tops off at nearly 7 hours. Hackintosh Ability: The ProBook 4430s lives up to the Hackintosh-friendly reputation of the HP ProBook line. Compatibility-wise, the 4430s is just as good as the highly-regarded 4530s: WiFi, ethernet, graphics, audio, trackpad, battery meter, and bluetooth all work with little to no effort. However, like all ProBooks, the ProBook 4430s has issues with bluetooth and brightness controls, and the VGA port and external microphone don't work. The 4430s isn't a very popular Hackintosh laptop, so there aren't many Hackintoshing guides about it. Fortunately, Hackintoshing guides for the ProBook 4530s (linked above) usually work for the 4430s without any trouble. 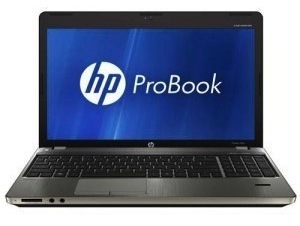 What You Get: The ProBook 4730s is a larger, higher-end version of the ProBook 4530s. Unlike the 4530s, the 4730s has a 17.3-inch screen, so it's large enough to replace your desktop computer. In addition, the ProBook 4730s uses higher-end parts; every model of the 4730s uses either a Core i5 or Core i7 processor. The 4730s also uses a discrete graphics card (the AMD Radeon 6490M) instead of the processor's built-in HD 3000 graphics. Hackintosh Ability: The ProBook 4730s mostly works with OS X Mountain Lion, but it's not nearly as Hackintosh-compatible as the 4530s. The graphics card in the 4730s (the AMD Radeon 6490M) doesn't work with Mac OS X, so you'll have to disable it in the BIOS. This isn't a huge loss, but it's inconvenient, and it definitely complicates the installation procedure. The 4730s also has problems displaying Mac OS X at the correct screen resolution, since it uses a different resolution (1600x900) than other ProBook models. Most importantly, this laptop sometimes experiences graphical glitches in Mac OS X, that prevent you from using Mission Control or the Dock. Though it's not hard to work without the Mission Control and the Dock, it's extremely annoying, so keep this in mind. Apparently, you can fix some of these errors by installing "Graphics Glitch Fix" in the HP ProBook Installer and running SwitchResX to complete a "Display Override". Otherwise, everything else (WiFi, audio, trackpad, etc.) should work pretty well. Like all of the ProBooks, the 4730s has problems with bluetooth, brightness controls, the VGA port, and the microphone. What You Get: Specifications-wise, the 14-inch Lenovo G470 laptop is rather similar to the previously mentioned HP ProBook 4430s. After all, both laptops use 2nd-generation Intel processors (ranging from the low-end Core i3 to the mid-end Core i5), and both use Intel HD 3000 graphics. The main differentiating features of the G470 are its excellent Lenovo-style keyboard, and its option to replace the built-in HD 3000 graphics with a slightly better AMD Radeon HD 6370M graphics card. For Hackintoshing purposes, however, you'll want to purchase a G470 model that uses an i5 processor and HD 3000 graphics. Hackintosh Ability: Setting up Mac OS X on the Lenovo G470 is not totally straightforward. Fortunately, the standard Unibeast installation method works. After the initial installation, all you have to do is run Multibeast once, and then install a few extra extra kext files. From there, almost everything will work properly: graphics, WiFi, ethernet, Bluetooth, sound, trackpad gestures, battery meter, and even the Fn keys on the keyboard. The laptop does not automatically go to sleep when you close the lid, but you can still sleep manually (by clicking the "Sleep" button in the Apple icon menu, at the top-left of Mac OS X). The webcam also works, though it apparently suffers from brightness issues. The only parts of the laptop that don't work at all are the SD card reader and the brightness controls, neither of which is a major issue. The "Mountain Lion installation thread" (2nd link) includes some additional details about the installation process. In particular, it shows how to enable speedstepping on the G470 with an SSDT file, which allows the laptop to go to automatically go to sleep when you close the lid. 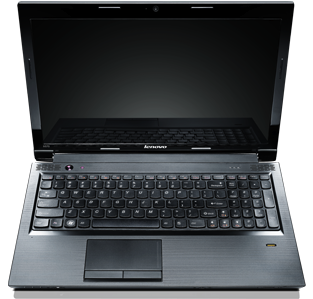 What You Get: The Lenovo B570 is an average 15.6-inch laptop with a great keyboard (like all Lenovo laptops). The specifications of the B570 are comparable to that of other recommended laptops, like the HP ProBook 4530s: you'll find a 2nd-generation Intel processor and Intel HD graphics inside this laptop. The cheapest model of the B570 uses a Intel Celeron processor, but to enable graphics support on Mac OS X, you have to purchase a model that uses a Intel Core processor (preferably the Core i3-2330m). Hackintosh Ability: With a good amount of tweaking, you can turn the Lenovo B570 into a reasonably functional Hackintosh. WiFi, ethernet, graphics, audio, battery meter, sleep, and the trackpad all work. The webcam does not work normally, though it works with the app CamTwist (this is a common Hackintosh quirk). The SD card reader doesn't work at all. In OS X Mountain Lion, CPU power management doesn't work properly; however, though this may harm performance and waste battery life, it probably won't affect the laptop's day-to-day usability. Like in the case of the previously-mentioned Lenovo G470, there aren't any good Mountain Lion installation guides for the Lenovo B570. 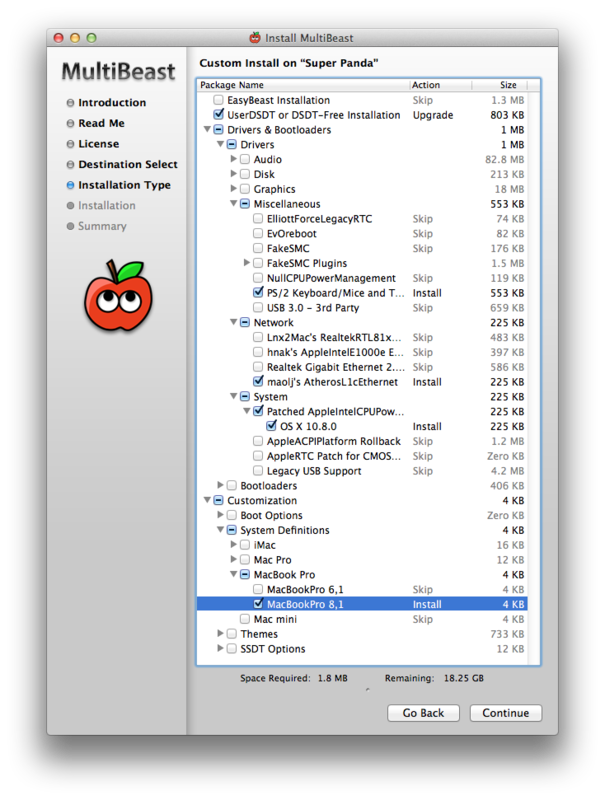 You can install Mountain Lion on the B570 by using a Unibeast USB drive with the MBR patch. Download a DSDT file and some extra kexts (linked below in "Post-Installation Files"). Unzip the downloaded archive by double-clicking on it; a folder will appear. Drag the file "DSDT.aml" out from the folder, onto the desktop of Mac OS X. Run Multibeast and select these following options. Then, install all of the kexts in the unzipped folder by using Kextbeast. Reboot; if you get a boot0 error, follow this guide to solve it. 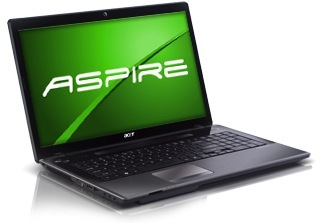 What You Get: The Aspire 5750G has (more or less) the same feature set and price as the HP ProBook 4530s: a 15.6-inch screen, a 2nd-generation Intel processor, etc. The main difference is that the 5750G uses a separate NVIDIA 540M graphics card, instead of the processor's built-in HD 3000 graphics. Hackintosh Ability: All of the essentials of the Acer 5750G, such as WiFi, audio, and the trackpad, work on OS X Mountain Lion without much of a hassle. Neither Bluetooth nor USB 3.0 works in Mac OS X, but they're not exactly critical features. However, the 5750G's discrete graphics card also doesn't work, so you'll have to turn it off in the BIOS (thereby eliminating the biggest advantage that the 5750G has over similarly-priced laptops). The Mountain Lion installation process for the 5750G is a bit complicated, but the standard Unibeast method still works, so it's not totally crazy. The main problem with the 5750G is that Multibeast doesn't work correctly with it; instead of relying on Multibeast, you'll have to install a bunch of kexts manually with Kextbeast, and make your own "Extra" folder to hold the laptop's DSDT file. Neither of these steps is really that hard, but previous Hackintosh experience is highly recommended when working with this laptop. There's also an option to install a new BIOS for your laptop that is specially modified for Hackintoshes, but this is an optional step, so you can skip it if you're uncomfortable. This installation guide only works with specific models of the Acer 5750G. If your 5750G model uses a Broadcom WiFi card or Elan touchpad, it will not work. What You Get: The ASUS G53Jw is one beast of a laptop-- it's essentially a full-fledged desktop computer crammed into a laptop's shell, and it runs Mac OS X Lion pretty well. It has the same screen size as the HP ProBook 4530s and Acer Aspire 5750G (15.6-inch), but the similarities end there. The G53Jw uses a discrete graphics card (the NVIDIA GTX 460M), and unlike most discrete laptop cards, this one actually works on Mac OS X. Other features of note include dual hard drive support, a backlit keyboard, and (depending on the model) a Bluray drive. Technically, the G53Jw uses older hardware than the other options on this list (so it's not really a laptop "for 2012"), but it'll still run faster than most of the other options on this list. 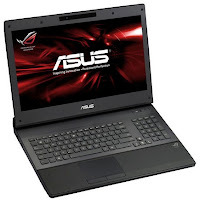 Hackintosh Ability: If you're looking for a high-end Hackintosh laptop, the ASUS G53Jw is a great choice, as long as you don't mind its relatively outdated hardware. However, the OS X installation process for the G53Jw isn't the simplest, so you'll need some previous Hackintosh experience to pull off this install. With the right kexts (available in the second link below), you can get it up and running with almost full functionality. Graphics, WiFi, ethernet, audio, Bluetooth, USB 3.0, battery meter, trackpad, the microphone, and even the keyboard backlights all work. In OS X Mountain Lion, sleep mode and the HDMI port in the G53Jw only work if you update to OS X 10.8.1 and install some extra drivers from NVIDIA (details in the first link below). The only thing that doesn't work SD card reader. Card readers are both optional components for a laptop, so depending on your needs, this might not even be a big deal. Though the second link is only an installation guide for Lion, the G53Jw uses the exact same kexts in Lion as Mountain Lion, so it still works. Be sure to get the A1 model of the G53Jw when following this guide-- the A1 is the only supported model. What You Get: The ASUS G74SX is part of the laptop series that succeeded the ASUS G53Jw (described above); as a result, the two laptops have their fair share of similarities. 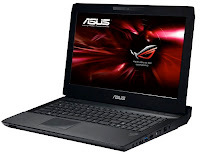 Following in the tradition of ASUS gaming laptops, the G74SX essentially provides you with the specifications of a full-fledged desktop computer, including an Intel 2nd-generation Core i7 processor and discrete NVIDIA GTX 560M graphics. 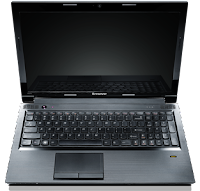 The G74SX also includes an impressive 17.3-inch screen, a backlit keyboard, and (depending on the model) a Bluray drive. Admittedly, there are tradeoffs. First off, the G74SX is extraordinarily heavy, weighing in at just over 10 pounds (a little over 4 kg). Secondly, this laptop can barely last for 2-3 hours on its battery, which is bad even by the generally poor standards of most Hackintosh laptops. Hackintosh Ability: In the same vein as the ASUS G53Jw, if you need a powerful Hackintosh laptop that can serve as a desktop replacement, the G74SX would be a fine choice. The installation process for the G74SX does not involve anything particularly out of the ordinary, but it's certainly not easy-- I would only recommend this laptop for experienced Hackintosh users. 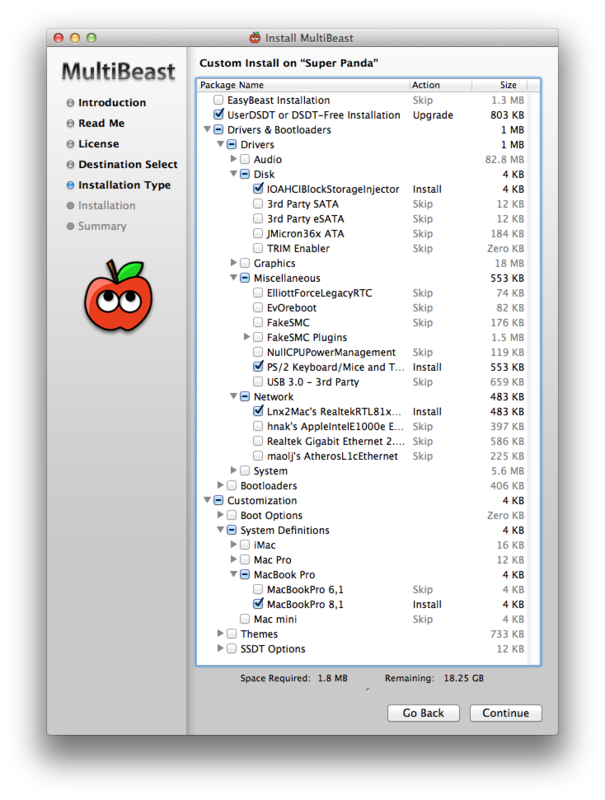 With the right DSDT file and a plethora of extra kext files (available in the guide below), you can get the G74SX running with mostly full functionality in OS X Mountain Lion. Graphics, WiFi, ethernet, audio, battery meter, trackpad, sleep mode, and keyboard backlights all work. As of yet, USB 3.0 still doesn't work properly, and Bluetooth support is unreliable. The webcam works, except with official Apple applications. WiFi support is a bit spotty; it only works with the Wireless A, B, and G standards, but not with the newest (and fastest) N standard. The microphone, HDMI port, and SD card reader haven't been confirmed to work yet. With the exception of the limited WiFi support, all of the compatibility problems with Mac OS X on the G74SX are relatively minor. There are a lot more compatible laptops in the Hackintoshing world, but most of them use outdated hardware, or don't have a coherent installation method for OS X Mountain Lion. This list is constantly expanding, as I find more laptops that fulfill these requirements. For now, keep your eyes peeled on tonymacx86's laptop forum, as well as InsanelyMac's own notebook forum and tutorials section.